The Woodworking Shows, the nation’s premier event for woodworking enthusiasts, professionals and do-it-yourselfers, will hold numerous events during the year. Each event offers attendees an opportunity to try out and see demonstrations of tools, supplies and equipment by top manufactures. Also, each event will feature an expanded lineup of America’s top woodworking artisans teaching seminars and leading free demonstrations. Individual events are listed by state below. Woodworking demonstrations and seminars are scheduled to take place at many retail locations nationwide. The sessions — ranging from beginner to intermediate to advanced-level classes — will be held on dozens of topics, including woodcarving, whittling, furniture making, scroll sawing, and tool sharpening. For a schedule of offerings in your area, visit www.woodcraft.com and click on the Education link at the top of the page. This exhibition is presented by the Minnesota Woodworkers Guild and is open to professional and amateur woodworkers. Entries must be made primarily of wood and delivered, set up and removed by the entrant. The exhibition is held at the Eden Prairie Center in Eden Prairie, MN. Cash awards. Online application deadline is April 15, 2019. 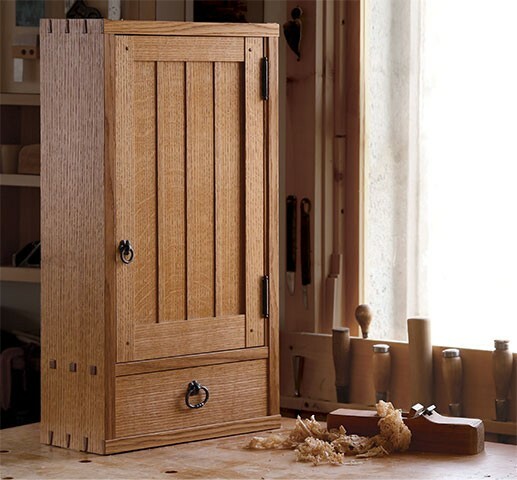 Visit the Minnesota Woodworkers Guild for more info. Exhibition will be September 8 – Dec 30, 2019. Cash prizes for 1st, 2nd and 3rd place as well as middle and high school students. Entries must be made primarily of wood (but mixed materials is welcome), functional indoor and outdoor lighting (must be able to display indoors). Entry deadline is July 1, 2019. Visit the Wharton Esherick Museum website for more info. This exhibition originated at the Leigh Yawkey Woodson Art Museum and includes turned vessels and sculptural pieces. Also on view is a Maloof-designed chair made from rescued wood from Sam’s favorite avocado tree. 4th annual online exhibition of artworks by masters of wood art. This exhibit features over 140 pieces created by 60 artists from the US and around the world. Works in this gallery, all selected from the Morse collection, illustrate the simple beauty of the objects created by American art potteries, furniture makers, metalworkers, and others who took up the ideals of the Arts and Crafts movement. This exhibition will review 20 years of scholarly activity at the Henry D. Green Center for the Study of the Decorative Arts. It will include numerous examples of furniture, textiles, pottery and metal work. Exhibition that features the work of 12 Nine-month Comprehensive students. Lie-Nielsen Open House is free and open to the public. See behind the scenes, tour the shop and test their full line of woodworking hand tools. Meet and learn from a diverse group of guest demonstrators. Lobster Bake and Keynote address. Enjoy a lobster dinner and hear keynote speaker, Thomas Moser. Exhibition that delves into the relationship between maker, material, and object in a cultural context. The show is divided into 5 categories: ceramics, metal, wood, fiber, and glass. Where expert instructors share their knowledge, history, and woodworking tricks with an engaged, passionate audience of enthusiasts. Exhibition that chronicles the history of American basketry from its origins in Native American, immigrant, and slave communities, to its presence within the contemporary fine art world. 93 pieces from 81 artists. Celebrating 20 years with an exhibition of current teacher and student works as well as a slide show of work throughout the years. Exhibition of more than 70 pieces, collected over a 30-year period, from the Center for Art in Wood. These works display a rich variety of wood and processes, including turned vessels and sculptural forms. Annual woodworking show and friendly competition sponsored by the Minnesota Woodworkers Guild. The Museum of Arts and Design (MAD) exhibit features more than 50 works of craft, art, design, and jewelry acquired over the past five years. Wood exhibition in conjunction with the AAW Woodturner’s Symposium in Raleigh. The show features the work from over 20 wood artists from the southeast (and beyond), including Stoney Lamar, Robyn Horn, Pascal Oudet, Harvey Meyer, Betty Scarpino. Presented by the American Association of Woodturners (AAW) includes demos and panels, trade show, exhibitions and auctions, and lots more. Wood artist Merryll Saylan began turning in the 1970s and this exhibition is a timeline of her career. 19th Annual juried exhibition celebrating the woodworking tradition of Bucks County, PA with fine furniture, sculpture, and turned vessels by makers from around the country. 24th international juried exhibition of contemporary craft. 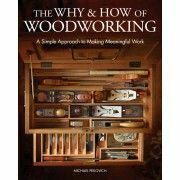 An opportunity to try a wide array of hand tools and learn how great tools can make your woodworking easier. Ongoing demonstrations at interactive stations will help you learn valuable techniques. 211 South Christopher Columbus Blvd. The Center for Art in Wood’s annual fund raiser. Annual conference hosted by the Furniture Society. Topics to include Historical Research, Materials Research, Market Research, and Intersections with Other Fields. The event will feature speakers, exhibitions, and workshops that center around the idea that a lot of research or “groundwork” is needed in the field of furniture history and materials study in order for our makers to understand the underpinnings of our artform. Research is also conducted to better understand the various marketplaces our audience engages in. And last, but not least, we look toward engaging other, closely-aligned craft fields to see where we intersect and can work collaboratively. Thousands of makers from around the world including crafters, inventors, artists, and hobbyists share and celebrate their enthusiasm for all things creative. What:	The Canadian Woodcarving Championship (CWC) takes place annually and is held in conjunction with the Hamilton Woodworking Show. Our primary goal is to provide a superior Championship where all Woodcarvers, regardless of their degree of expertise, can display their carvings and enter competitions that offer rewards commensurate with the effort and dedication required to produce such Artistic Creations. Entry forms are available online. Registration:	Bring carvings to the show on Thursday February 23rd from 2 pm – 7 pm or Friday February 24th from 8:30 am – 10:00 am. Cost:	$15 for the 1st carving, $5 for each additional carving. Canada’s largest consumer woodworking show celebrates everything to do with wood for hobbyist and professionals at the Canadian Warplane Heritage Museum (9280 Airport Road, Hamilton). The Show returns for its 22nd year from February 24th to 26, 2017. Hours: 10am-5pm. Admission: $15 Adult; $14 Senior (65+) and youth (13-17). Children 12 & under free. Save up to $2 when you purchase your tickets online.